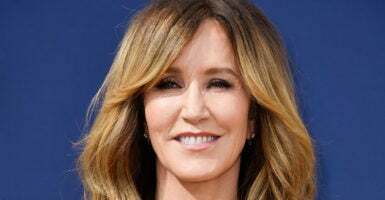 When the college admissions scandal first broke, we opined that this was most likely just the tip of the iceberg and that there was much more to come. In the little more than a week since the indictments, during which several civil lawsuits were filed against the universities by former applicants, we learned that the University of Southern California was the most frequent target in the scheme, that colleges named in the scandal have launched internal probes to assess the scope of the fraud, and that some colleges have placed holds on student accounts tied to the scandal. Some colleges are considering rescinding diplomas of students who already graduated who got in via illegal means, some colleges have fired employees, and some of the parents have lost their jobs or resigned from boards. Two members of Congress have even introduced a bill in response to the scandal. Many of these actions were predictable. In Washington, where everything is political, it’s not surprising that some on both the left and right have viewed this scandal solely through a political telescope and have tried to spin the scandal into a broader political narrative about liberal, elite Democrats or fat-cat Republicans. Such a narrative, however, helps to perpetuate sometimes inaccurate and dangerous stereotypes. We have, therefore, resisted that temptation, and instead looked at facts—namely, the giving history of the parents to federal politicians. The wealthy parents implicated in the scandal not only allegedly paid for direct access (i.e., admission) to colleges of their choice for their children, but some also funneled approximately $975,230 to organizations and federal politicians. The 10 highest recipients skew almost 2-to-1 Democrat ($539,320) over Republican ($245,400). Political donations by individuals to politicians or political candidates, at the federal and state level, are perfectly legal, and none of the donations mentioned below are part of the sweeping criminal investigation into the college admissions scam. But the fact is that some of the parents involved in the college admission scam were prolific donors to federal (and state) politicians. According to the Federal Election Commission website, which tracks donations by givers to federal candidates for office, organizations affiliated either directly or indirectly with politicians and candidates for political office received approximately $437,236, with the Democratic National Committee ($146,650), the Democratic Congressional Campaign Committee ($135,775), and the Republican National Committee ($73,800) the top three recipients. It’s difficult to get the exact amount given by each individual to federal politicians, as some of the names are listed with several addresses, so the numbers given below are best estimates, based on publicly available information, including information in the indictment and criminal complaint. Senators and members of Congress received a total of approximately $250,944, with the top five recipients being Rep. Nancy Pelosi, D-Calif., ($79,000); Rep. Mike Thompson, D-Calif., ($28,999); Sen. Kirsten Gillibrand, D-N.Y., ($26,500); Sen. Kamala Harris, D-Calif., ($18,312); and Sen. Christopher Murphy, D-Conn., ($15,200). In total, at least 38 federal politicians received money from the parents. Former presidential candidates received at least $287,050 from them. Mitt Romney raked in the most at $141,800; followed by former President Barack Obama ($92,300); former Sen. John McCain, R-Ariz.; ($29,800); and Hillary Clinton ($16,900). Other recipients included John Kerry, Howard Dean, and Sen. Marco Rubio, R-Fla.
Hollywood actress Felicity Huffman gave exclusively, not surprisingly, to Democrats, to the tune of at least $11,794. Recipients included Obama, Joe Biden, and Sen. Kyrsten Sinema, D-Ariz., as well as numerous donations to Harris, Dean, and Clinton. Moveon.org also received money from Huffman. Huffman allegedly paid William Singer—the ringleader of the scheme—to help Huffman’s oldest daughter on her SAT by having a third party either correct the girl’s answers after the test or by actively assisting her during the exam. The daughter received a 1,420 on her SAT, an improvement of approximately 400 points over her PSAT score. Former casino executive Gamal Abdelaziz of Las Vegas gave at least $42,096. Most of his donations were bimonthly in the amount of $209 to the MGM Resorts International PAC. The PAC, according to Open Secrets, gave $196,400 to candidates in 2018, 65 percent to Democrats and 35 percent to Republicans. He also gave $4,600 to former Sen. Harry Reid, D-Nev.; $500 to former Sen. John Ensign, R-Nev.; and $1,000 to former Rep. Shelley Berkley, D-Nev. Abdelaziz allegedly tried to get his daughter into USC as a purported basketball recruit. The most generous political benefactor from those embroiled in the college admissions scam appears to be vintner Agustin Huneeus of San Francisco. He sprinkled approximately $356,257 over eight Democrats, including Thompson, Pelosi, Harris, Clinton, and Obama. He also gave to the Democratic Congressional Campaign Committee, the Nancy Pelosi Victory Fund, and the Aircraft Owners and Pilots Association. Huneeus allegedly tried to get his daughter into USC as a purported water polo recruit. Jane Buckingham was a generous benefactor also, giving a total of about $128,250 exclusively to Democrats. The CEO of a boutique marketing company in Los Angeles, Buckingham gave $30,800 to the Democratic National Committee and $35,800 to the Obama Victory Fund, and also supported Clinton, Gillibrand, Harris, and others. Buckingham allegedly paid Singer money so that someone else could take the ACT for her son. Gordon Caplan was generous to both Democrats and Republicans, giving approximately $128,250 to at least 15 individuals. He gave to the Democratic National Committee; the Republican National Committee; the Obama and Hillary victory funds; Romney for President and Romney Victory Inc.; Hillary for America; Sen. Mitch McConnell, R-Ky.; and others. Caplan allegedly paid Singer to arrange for someone to proctor his daughter’s ACT exam and correct the answers after she had completed it. William McGlashan of Mill Valley, California, was generous, giving a total of $39,800 to at least 15 Democrats. In addition to giving $10,000 to the Democratic National Committee, he also gave to at least 10 Democratic congressional candidates in September 2018, and also to Obama, Kerry, former Sen. Evan Bayh of Indiana, and others. 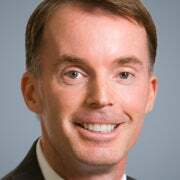 McGlashan, a senior executive at a private equity firm in Mill Valley, California, allegedly participated in both the college entrance exam cheating scheme and the college recruitment scheme to help his son gain admission to USC as a recruited punter for the football team. Bruce and Davina Isackson live in California. He is the president of a real estate development firm, and gave approximately $15,100, mostly to Republicans. He favored Romney ($5,000), then McCain ($4,600), but also gave to Al Gore ($1,000). The Isacksons allegedly took part in both the college recruitment scheme and the college entrance exam cheating scheme on behalf of their daughter Lauren. She gained admission into UCLA, and actually ended up on the university’s women’s soccer team, even though she didn’t play for the soccer club of which she was supposedly the team captain, and didn’t play a minute for UCLA in her freshman year. Many of the parents will be arraigned on the charges in federal courts next week. Once that happens, expect to see more of the story unfold, and additional names come to the surface, as they weigh their options and explore plea deals. Whether the politicians and organizations who received this money decide to keep it, return it, or give it to charity remains an open question.